Table 6 is a high-class video production with a focus in the B2B sector. 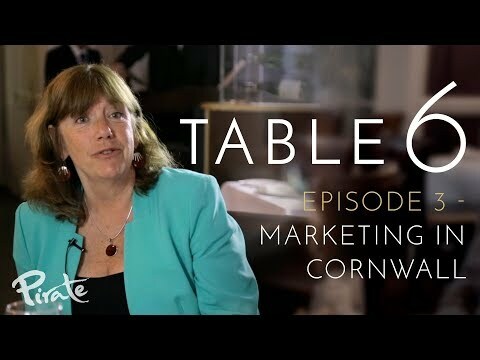 This ongoing series of high-spec video productions brings together leading lights in the Cornish business sector to talk through various pertinent subjects. It also showcases venues such as The Penventon Park Hotel as a high-class backdrop and adheres to high-class production techniques. The shoot utilises multiple cameras and audio sources to create a professional and immersive video that keeps the subject speakers at its heart. The shoot also includes a degree of roving footage to showcase the venue, the chef and the incredible food that is being served to the guests. Extreme attention to detail means that participants are all perfectly framed and the shoot is a team affair to ensure true quality. Each edition of Table 6 will focus on a different subject matter close to the heart of the participants and relevant in the current business climate. We have covered Brexit, Marketing and Social Care. Further editions are already scheduled in for filming and demand has increased exponentially for this high quality production. This project has been a huge success, driving views, traffic and engagement across multiple media platforms. Table 6 videos have had in excess of 7,000 across Facebook and YouTube, incredible statistics for a local B2B debate production. Testament to this the next four months are already booked in with potential guests and venues all keen to get involved with this beautiful video project.